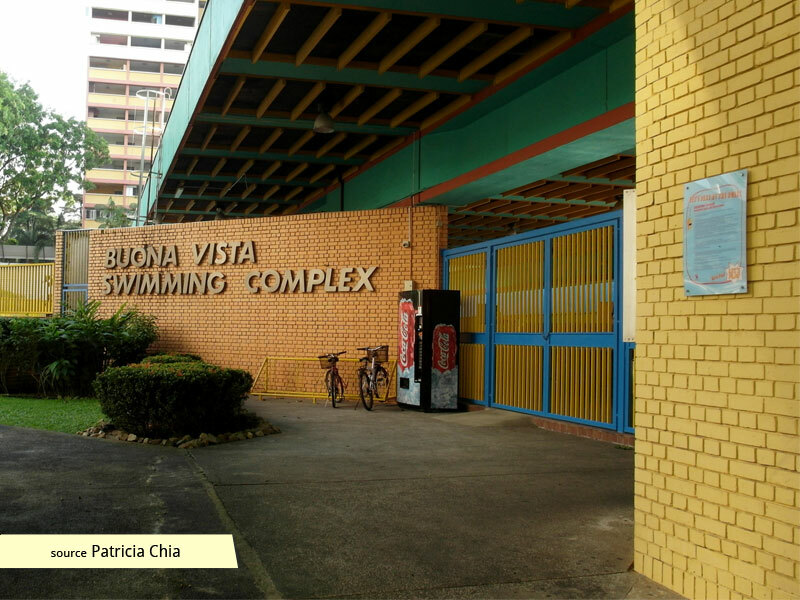 Right up to its closure and eventual demolition in 2014, Buona Vista Swimming Complex was not only a place of exercise, but an identity-giver and unifier to the local community. 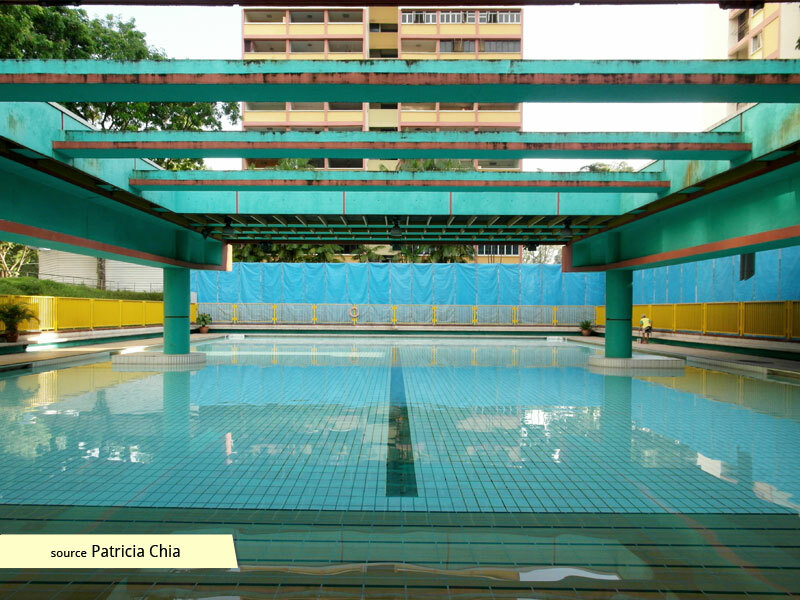 Formerly known as the Holland Drive Swimming Complex, this public swimming complex has been known to serve residents living near Holland Village, Mount Sinai and Ghim Moh for over thirty years. It was the first public facility to be fitted with a bi-flow filter system in which water was continuously drained off the surface and the floor of the pool. 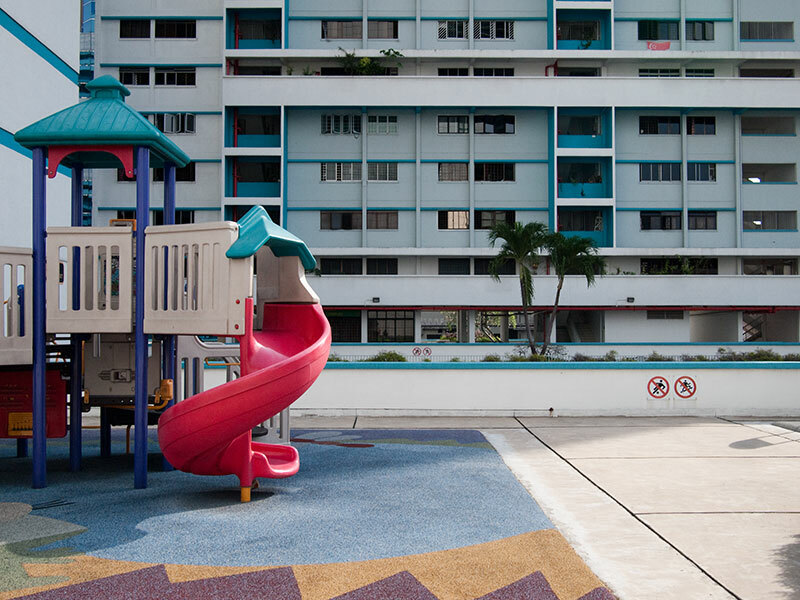 In 2011, after plans were announced to demolish neighbouring flats, discussion that the swimming complex would be demolished for sale to private property developers surfaced. 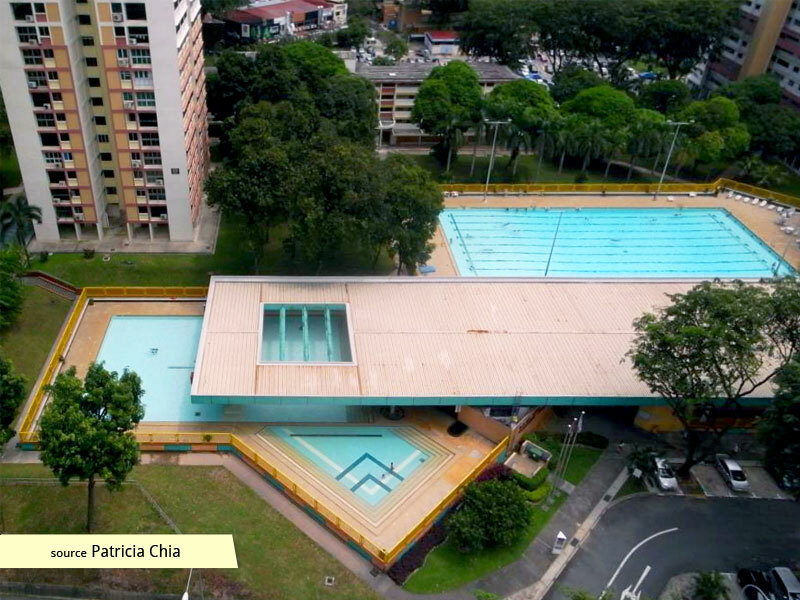 These talks were followed by a public furore, led by prominent local actress Ms Pamela Oei, who had learnt how to swim in the pool and has been living in the vicinity for over 37 years. 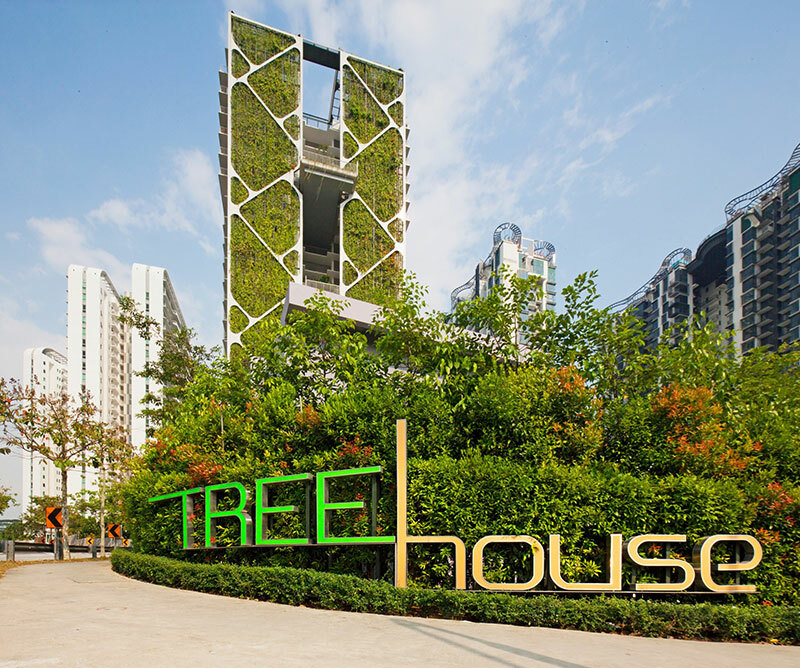 A petition was signed and submitted to Mr Chan Chun Seng, Member of Parliament (MP) for the Buona Vista ward. 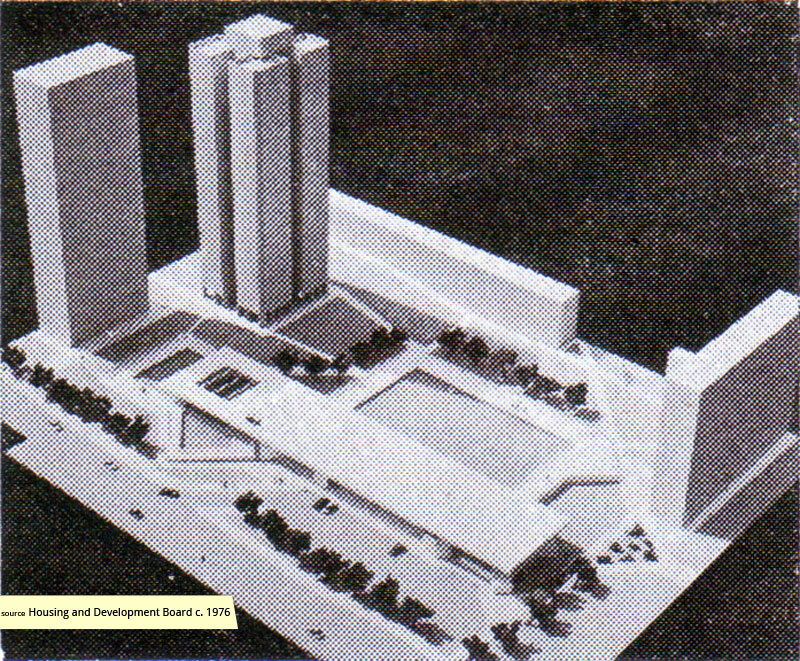 The complex consists of a competition pool, a teaching pool and a wading pool. 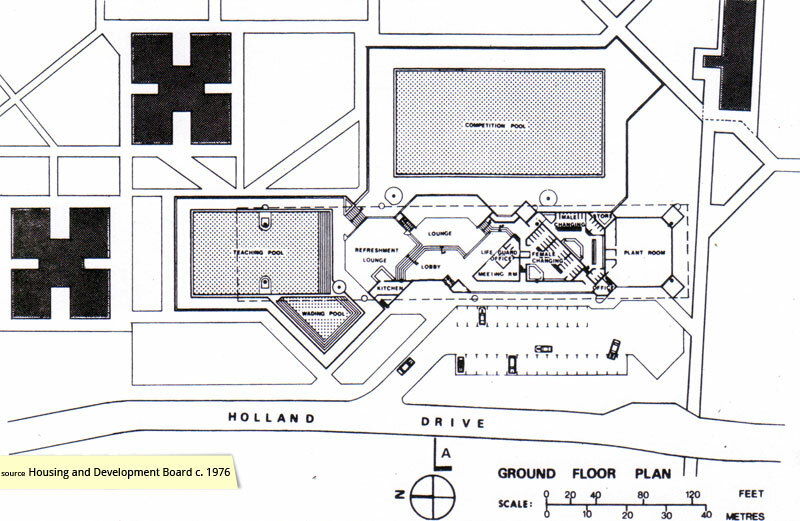 In 1985, the pool hosted a national swimming meet with participants from schools nation-wide. 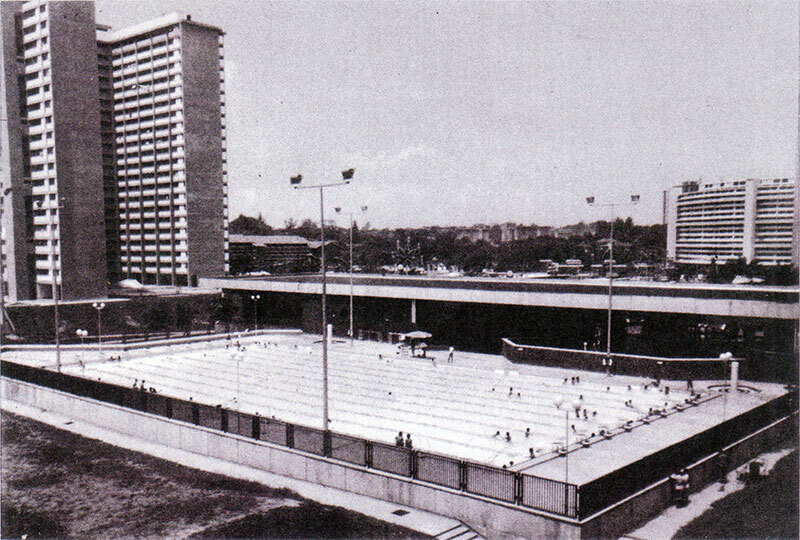 It is curious to note that the starting blocks that were installed at the pool in 1976 were removed by then. The teaching pool sits beneath an extremely long roof overhang, with an opening where light comes through; the water is shaded from the intense sun, yet still completely open. One can even swim around the supporting roof columns that penetrate the pool midway. 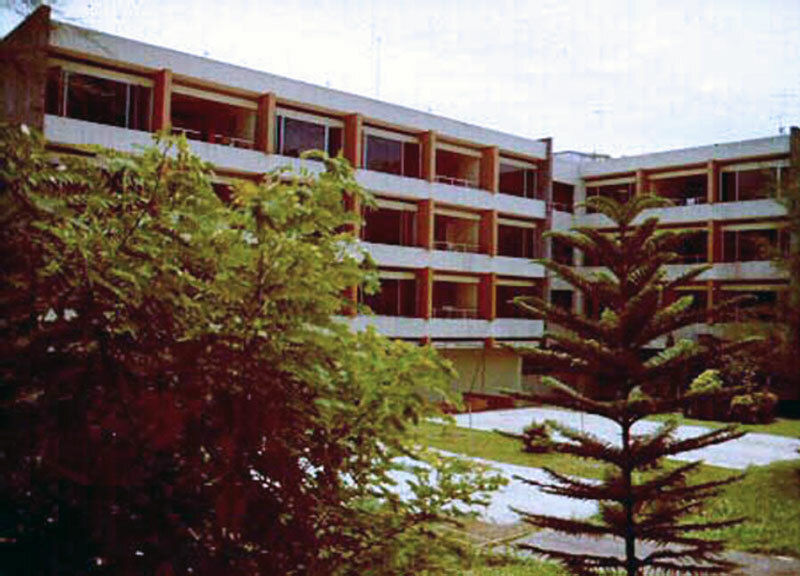 The swimming complex met its fate in mid-2014 when it, together with the neighbouring blocks, was demolished. 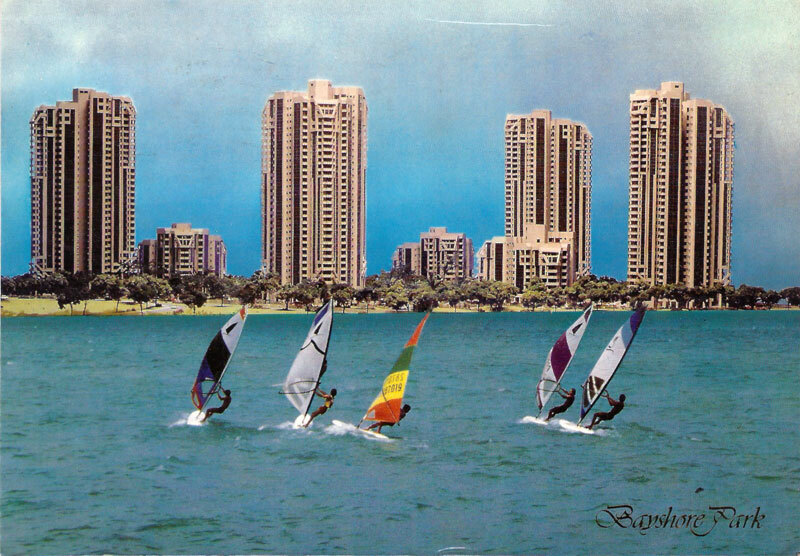 The memories of Buona Visa Swimming Complex live on not only in memory, but also through the community it helped forge.